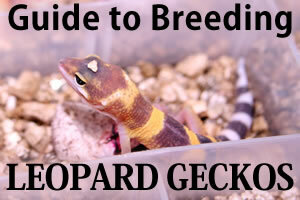 Breeding leopard geckos is relatively easy and rewarding. There are so many exciting images on the internet of gorgeous and unique animals that many of us get bitten by the breeding bug. We may dream of producing beautiful specimens and even of developing our own lines. Few of us, however, have the time, space and money that it takes to succeed at this level. In order to develop a unique line of high quality animals, a breeder must have access to a large collection which needs to be continually upgraded. He or she must be able to house and feed breeders and hatchlings, and also must have a market to sell both the expensive morphs and the less unusual ones that will result. A new breeder without the reputation and clientele of an established one will most likely not be able to locate enough customers to move a large number of geckos and will not be able to get the same prices as an established breeder. We may not be able to “have it all”, but there are other ways to have an interesting and fulfilling breeding experience. For the past 3 years, I have been breeding leopard geckos on a small scale which has allowed me to experience the joy of participating in the creation of new life on a more modest budget of money, space and time. Working with a small scale operation, arbitrarily defined here as a colony of 10 or fewer females, a breeder may have to make some difficult choices: producing high quality morphs with limited opportunity for development of the line, or producing less unusual morphs with greater variety and progression. Breeding on a small scale is a permanent choice for some of us, and is also a way to “test the waters” before embarking on a more extensive enterprise. A prospective breeder should have experience and knowledge about caring for leopard geckos, preferably for at least a year, before trying to breed. Starting with juvenile geckos and learning about the changes they go through and the problems they may encounter is good preparation for some of the things that may come into play with breeders and hatchlings. Geckos have a yearly cycle of behavior that follows the seasons. Observing and learning about seasonal changes and how to cope with them is essential before taking on the responsibility of breeding these lovely creatures. It’s best to begin with a single male and 1-2 females to see how the process works and whether or not breeding is feasible and enjoyable. We can easily be seduced by the “more is better” philosophy. 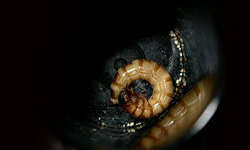 New breeders who begin with large colonies may find themselves with an inconvenient number of hatchlings, breeders and equipment to sell off if they decide not to continue. If a small breeding colony is successful, add breeders slowly, 1-2 a year, rather than expanding exponentially. Caring for 100 geckos, for example, is much different than caring for a dozen, not only in the amount of time it requires, but also in the personal contact one can have with individual geckos. A huge number of hatchlings may be exciting, but they have to be fed, housed, and ultimately sold. Problems, including hatchlings with deformities, breeders who don’t thrive and sick geckos, also multiply quickly. Are you a teenager planning to go to college in a few years? Are you thinking of having a baby soon? These are just two examples of situations where too extensive a breeding project, or, in some cases, breeding at all is not a good idea. It’s also important to consider whether there are enough funds available to pay for breeding stock, food, medical bills and publicity among other expenses and how much space for hatchlings is available. The likelihood that most breeders will break even or make a profit is small. What interests you most about breeding? If you mainly want to experience birth and the creation of new life, then any small colony will be rewarding. If you are more interested in producing high quality morphs, choose a small number of designer geckos, recognizing that the chances of developing your own unique line may be small. If you like the “genetic engineering” aspect of breeding, purchase some geckos with heterozygous traits and recreate the process of developing a morph. Breeding groups consist of a single male gecko with multiple females. A collection almost always has fewer males than females. By choosing a small number of males, each with a variety of genetic characteristics, the offspring will have more variety, as different male/female combinations can be set up each year. If your goal is to produce a variety of morphs, it’s best to choose a group of geckos with genetic characteristics that complement each other. 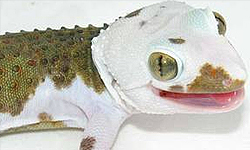 In order to produce a gecko that expresses a recessive trait (for example, albinism) both parents must carry the trait. A breeding colony with only one gecko carrying genes for a particular morph will not produce any geckos exhibiting that trait. A male gecko with multiple genetic characteristics that match those of the group of females in the colony is much more valuable as a breeder. For example, consider a group of females including an albino, a stripe and a superhypo tangerine. A patternless redstripe male heterozygous for albino would be able to generate a variety of offspring including albino, albino stripe, reverse stripe, superhypo tangerine, redstripe, jungle and even sunglow (if the superhypo were heterozygous for albino). Morphs like Mack snow or enigma will produce at least some offspring that exhibit the dominant/co-dominant characteristic no matter what morph they are bred to. This is a way to produce interesting variations in a single season. Working with heterozygous animals to produce a particular result over the course of several seasons has its own excitement and rewards. There’s an aspect of sculpting the desired result piece by piece instead of simply breeding two similar animals to get another copy that is appealing. For example, it’s no trick to produce hybinos by breeding two hybinos together. Even though the results are the same, it can be more rewarding to breed an albino to a superhypo tang and then in the following season to breed the offspring to each other or to the albino parent. It is best to start with a very small colony, as mentioned above, in order to avoid a glut of hatchlings the first year. A new breeder is an unknown and will find it more difficult to attract customers than someone who is established. Consistent production of high quality healthy animals, good customer service, networking by talking about breeding and hatchling availability to everyone and conducting business with integrity will lead to a growing demand for what you have to offer. If you allow the stock for sale to grow slowly as well, there should be a good fit between supply and demand. Not every breeder will be shipping their geckos all over the country and not every breeder will be producing thousand dollar hatchlings. There is also a need for the production of modest numbers of relatively inexpensive geckos in the local community. 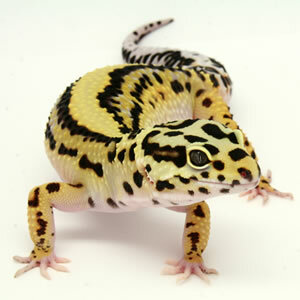 Meeting this need can be satisfying and may even dictate a move away from producing more “expensive” geckos. High end morphs often need to be sold for higher prices and finding those markets may not be possible or worth the time and money it will take. Spring and summer are usually times for gecko production with many hatchlings too small to be sold. The winter holiday season may be a time when there is more demand for offspring. Local shows may also dictate what months of the year are best for selling. After several seasons, breeders should be able to recognize the pattern of seasonal buying and selling and use it to their advantage. Assuming that you have started with a small colony and produced a modest number of geckos the first year, continue networking and looking for likely situations where a sale can be made. Have faith that the hatchlings will be sold and that more will sell in subsequent years as your reputation develops and you become better known. Every breeder’s situation is unique. Every breeder will experience different rewards and different disappointments. A new breeder who is careful to start small and plan ahead will most likely experience more rewards than disappointments. Photos: All photos used in this article are property of Tamara Locke of Geekusmaximus.net. Thank you for your permission to use these photos! Hello… I read it all and I enjoyed every single bit… But I wonder if you could go more specific in the “best” colony to start with in morphology I mean . Thanks for your comment. I deliberately didn’t go into the specifics of what morph to get because I feel strongly that it’s up to the breeder to decide what he or she likes. It’s hard to tell these days which morphs will sell, except for the “newest thing” which sells for a lot of money until it’s not the newest thing anymore. It makes the most sense, in my opinion, to look at the range of what there is, find what you like and buy some geckos of known genetic background that are good visual specimens of what you want to produce. I generally sell my leopard geckos when they reach 15 grams. Most of them are there by 5 months but a few aren’t’. In general I would say that sand is not an appropriate substrate for leopard geckos and it certainly isn’t a substrate in their native habitat. If you have to use sand, use playsand, not calci-sand. If you have to use a particle substrate, I think coco fiber mixed with a bit of desert sand and leaf litter will make a nice bioactive substrate. My preference is tile. If the geckos are, in my opinion, at least 30 grams, they will be most likely to be as OK as an adult gecko (with impaction possibility) on sand. I just got my first eggs of my second breeding season. I’m excited about their pairing for these eggs however I have a bunch of juvenile Leo’s from last season so I’m looking forward to letting go of some of my babies from last season to make room for the new ones. Good luck. That’s one of the hardest things about breeding –selling the offspring. There’s another Gecko Time article called something like “How to sell your geckos”. I just sold out last week including one from 2014. I have been doing a lot of studying up on leopard gecko raising/caring/breeding etc as one day I would like to be a small time breeder and possibly breed new types morphs. Anyway, I was wondering if you could tell me where I can find excellent quality morphs for sale. If they expensive than oh well authenticity is worth the money. 1. online research – start by going to geckoforums.net and look at the banners at the top. Check out their geckos. For the most part they are reliable breeders. To be sure, you can go to faunaclassifieds.com and check them out by name on the Board of Inquiry (BOI) there. 2. Attend a local reptile show. Look for vendors who are selling geckos they’ve produced themselves (as opposed to geckos they got in trade or bought from someone else). Check to see that the geckos look healthy. If you ask the vendors about the geckos and their genetics, they should know the answers. If you find someone who meets all these criteria, you’re probably OK.
Great article Aliza. Your article included many inportant facts for us to consider before deciding to take the leap into breeding geckos. Breeding on a small scale is fun and rewarding, but your best bet is to banish any thought of profit. I don’t know the Houston gecko scene. Your best bet, even though you prefer not to go to the shows, is to find a show in your general area, go to the website and look at the vendor list. Many of them have websites and may be in your area, so you can contact them. 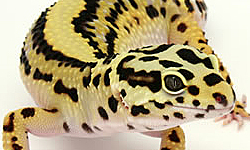 You should also check out Facebook and ask in some of the leopard gecko groups about breeders in your area. Awesome article. Everyone shows the set ups for having 20 or more breeding pairs and not if you are just wanting to enjoy creating life and support your hobby with maybe a little pocket change. Sadly there is no reptile shows near by me minus once a year 5hrs away so the internet is my friend if I don’t sell local. I just started with one to learn where I can expect troubles and plan to buy more when the bugger gets older. It looks to be a rainwater albino so I have no clue where to go from there. Sadly or maybe yay there isn’t really local breeders I can consult with. Thanks for the information and ideas. Good luck to you with gecko plans. The internet can be a very valuable place to find information and geckos. Check out the Gecko Time article about MorphMarket.com. I’ve got a normal leopard gecko(female) but wanted to get a good male for her to try and start breeding on a tiny scale. I understand the situation if they aren’t compatible then that’s okay. I could try again and then if that doesn’t work I’d look or trade for another male. So my only worry is i think the prices of some of these geckos are so pricy that I think they are just over priced. People need to realize that it is a hobby not a lottery. Just saying sorry if I made anyone mad I’m a noobie and just am so confused why people charge so much. But what do you see being the best breed or top three breeds u seeing to be idea to breed with a normal to get a interesting morph? In order to get anything besides a normal, you will have to breed your gecko with a different morph that’s dominant or co-dominant. Your best bet is to breed it with a Mack snow. Statistically half of your offspring will be Mack snow and if you breed one of the female Mack snows you produce back to the Mack snow father, you could get some super snows. As far as price goes, while there are many sellers that do ask a lot of money, there are also good deals to be had. Most of my geckos are priced at $30-45. If there is a reptile expo near you, check it out and you may find some good prices. I have 1 male tremper. 1 female tremper, 1 female blood, 1 female bandit. If I were to breed him to the later of the 2 females what would I be getting? Also I’m thinking about buying 1 more female what morph would make abother nice morph with a tremper? ? You ask about breeding your male to the latter of the 2 females, but you’ve listed 3 females, so it’s a bit confusing. I can say that since both blood and bandit are essentially line bred traits, you will be getting normal geckos that are het for albino and may have some slightly more orange coloring (with the blood female) or more bold coloring (with the bandit female). You could call them “blood cross” or “bandit cross” but if they don’t look particularly blood or bandit I don’t think it makes sense to bother. I feel pretty strongly that someone contemplating breeding should know enough about the genetics of the gecko species they’re planning to breed to be able to figure out the answer to these questions. I’ll give you some pointers to start you along the way: a male Tremper will need a female tremper or het for tremper to produce any albino offspring. Choose a female like this if you want albino offspring. Beyond that, you have to decide what you like. If you like orange, get a nice tangerine. If you like spots, get a female with lots of spots. If you like a trait you don’t have already, like blizzard, get a blizzard, produce blizzard hets and breed the (male) offspring back to the blizzard female. Think about co-dominant trait such as snow to get something different in the first generation. I hope this has been helpful for thinking about where to go with your breeding. Great article! I am wondering about egg care and incubation… I have a Reptibator and I’ve filled the resevoirs with water as well as the container with perlite that I put my eggs into is the Albey’s method ratio but the humidity always drops so I spray water inside but my eggs keep denting even though the humidity is always between 75 – 85 % I’m not sure if her eggs are actually fertile or if something is going wrong but I’m researching constantly! Your egg containers should be sealed with no holes. That should keep the humidity stable. I never measure my humidity. If the eggs are denting, they may not be fertile. Fantastic article, very informative! I’ve been successfully caring for and bonding with my leo for about six months. He’s now 1 year old and has great eating habits, temperament and an incredible, though not officially defined morph. I purchased him from a pet store that didn’t know his morph let alone what his parents were (maybe he was from a clutch that couldn’t sell?). Should I be ready to start breeding in about two years, would he still be young enough and would buyers be interested if I only knew the morphs and parents of the females, not of him? He’s got an incredible look: tangerine abdomen, head and legs with a white, black spotted tail and the same under his jaw. His toes and belly are white as well, more on the pink side, and his eyes are a beautiful dark grey. So ultimately my question is this: can he be a breeder even though his parents and morph are technically a mystery? I appreciate the help! Thanks for the compliment! The standard response is not to breed geckos of unknown genetics. I will temper that a bit: As long as you rule out certain things and provide full disclosure about what you’re doing, you should be successful, though there are some purists who will not want to buy from you. I recommend that if and when you breed the male, have one of the females be a Tremper albino. I’m suggesting this because albino is the most common het and Tremper is the most likely strain. If you don’t get any albinos, you’ll know that the gecko is not het for Tremper (note that others would recommend that you don’t breed this gecko with any albino or het albino female so that in case he’s het for a non-tremper strain, you don’t want to be producing double hets. I think either approach is acceptable, especially since you will be doing full disclosure). When you sell the offspring, you’ll be noting that the female is whatever her genetics are and the male is a tangerine with unknown possible hets. As I mentioned above, some people will not want to purchase because they are very particular about knowing the full genetic profile of all their breeders. I hope this is helpful. Feel free to ask more questions if they arise. Great article, very interesting. It helped me a lot in choosing what to do and how to go about doing it. Great advice! Thanks a lot! 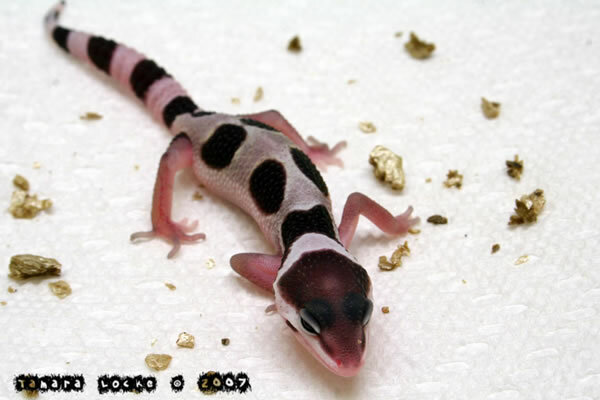 –a basic understanding of leopard gecko genetics so that there is some intentionality in the breeding and that the breeder can let prospective customers know the genetic background of the geckos s/he is selling. First of all thank you for all the wonderful articles ^^ I have been breeding for two years now and have a small colony of four geckos, one male and three females. The expansion from my original breeding pair came in this last year. As of now all the babies have gone to friends and family who wanted leopard geckos for themselves after spending time with my scaly kidos. However seeing as i have two more females i expect the amount of offspring i produce next year to exceed how many babies my friends and family would be able to take home. That being said i wish to continue my breeding endevors and to begin selling my hatch-lings to the public at large. However i wanted to know if there is any sort of licence i should acquire first? it has been my intent from the beginning to breed for the public because i want to be an alternative to the local pet stores that treat their geckos like accessories. selling a “reptile kit” that has a far to low temperature heat lamp, only ten gallons of space. Giving little to no information on the species, most employees not even knowing that they need calcium. I want to do better then these places i want to provide for the animals and the owners. which is why i want to start out right knowing if i need a license or not. As far as I know you do not need any sort of license. I checked into things locally when I got started and worried for awhile that I was “pet store”, but since I’m not operating a storefront out of my home (I actually called the state to ask) I am not a pet store. Some states (e.g. NY) do require you have a vendor license to vend at their shows, which is just a document so they can get their sales tax payment. It’s easy to get and it’s not a license to breed, but a license to sell at a public venue (i.e. you would not require a license to ship to someone who lives in that state, or, I guess, to sell privately to someone if they live in that state). Let me know if you have any more questions. I just ordered a Bold super snow. I don’t plan non breeding quite yet, but I was wondering are there morphs that you should not breed with other morphs? The most important thing is not to breed one strain of albino to another strain because things get muddled. To extend that, you probably shouldn’t breed any geckos together where you don’t know the genetic history of both. Also, you should probably think very hard about breeding enigmas since there is no guarantee that the offspring won’t have the enigma syndrome and even if they hatch OK it’s likely they may develop it even into adulthood. So it would be possible to mix any morph so long as they both don’t contain the albino strain? So I could breed My super snow to a super giant and get potentially super giant snows? Super giants have 2 giant genes. If they have only 1 giant gene, they will be regular giants (if they get the gene). If you breed a super snow to a super giant, you will get all snows (since the super will give a snow gene to each offspring). Here’s the thing, though: you can only get super snows if the gecko inherits a snow gene from each parent and you can only get a super giant if the gecko inherits a giant gene from each parent. So your offspring will be all snow and some snow giants. You won’t produce any super giants or super snows. Does that make sense to you? Yeah that makes sense. So I would need giant snows to breed with giant snows to make super giant snow? I don’t even know if that exists but I’m hopeful. You can also breed two of your offspring together. You would figure out which 2 snows (male and female, obviously) are giants and breed them together. Breeding close relatives with geckos is OK as long as you don’t keep doing it with successive generations. Thanks a lot. I have some more research and preparation to do before I get into breeding, but you answered another of my question about people breeding gecko offsprings with their parent, which seems it’s okay. I’m assuming that the two geckos you own are both male? If that’s the case, the female will produce some Mack snows and some geckos with striping no matter which male you use. There is a chance that the SHCT will also produce offspring with reduced spotting and some tangerine coloring. Great article! Me and my wife tried breeding our male bell albino 3 yrs old to our female bell albino. She last year laid only 4 eggs total one at a time all infertile. So we got a bandit male from Ron Tremper and breeded him to our female bell albino this year. 3 eggs this year 2 infertile but one finally hatched and she’s gorgeous. Was this a bad idea?? Will she be a regular or?? She doesn’t look like an albino but was just hatched today.